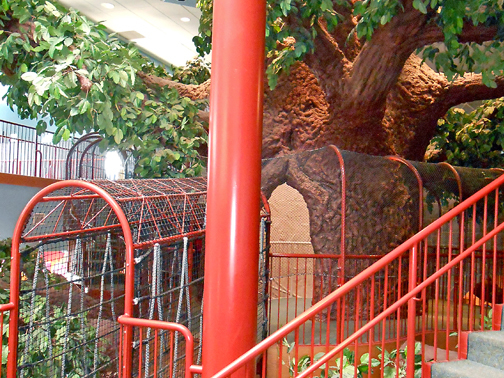 The giant Treehouse Tree at the center of the Museum stands more than 30 feet tall and is more than 65 feet around with branches reaching out 30 feet. More than 70,000 leaves make it green all year round. Spiral stairs lead up to deck and then more stairs continue up to the 2nd level.